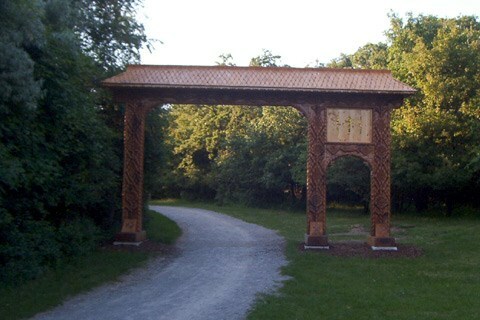 This family cache is located in the 10th district in the south of Vienna. 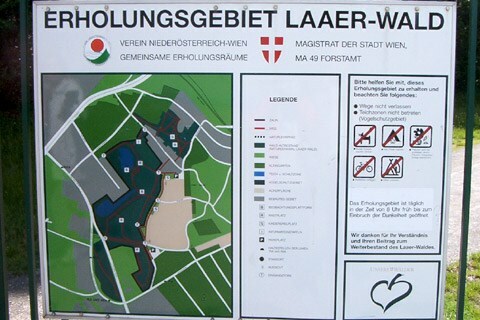 It´s in the recreation-area called "Laaer-Wald". 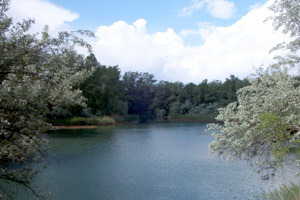 The area was a former clay pit. The ponds are the result. You can reach the cache area by public transport. Take the U1 to "Reumannplatz", and there you take the bus 68A till "Theodor-Sickel-Gasse". Those coming by car, can park at the given coordinates (entry from "Bitterlichstraße"). The trail is most of it`s length a gravel walk. Strollers can be used. Only for the very last meters before the hiding place you have to leave the way. A compass is needed. 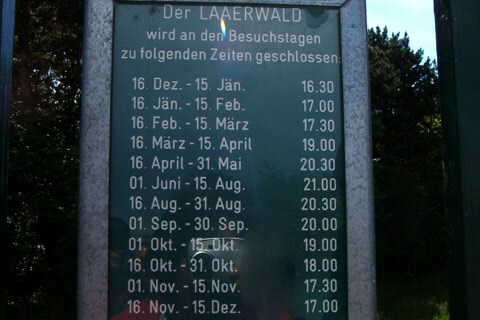 Opening hours: The area of Laaer-Wald is open for the public every day from 8 am till dawn (depending on the season: 4.30 pm in winter, 9 pm in summer. See notice at the door!) Dogs are not allowed. Length: 3 km, no difference in height. Details about the area can be found at: http://www.wien.gv.at/umwelt/wald/erholung/laaerwald.htm (site in german). The above difficulty and terrain rating was done with the program from geocaching.com. To be internationally comparable I`m using this result. (See the discussion in the forum also.) My personal opinion is a rating of 2 stars for difficulty and 1.5 stars for terrain. This is a good point for starting your adventure. You can park your car here and get an overview about the area. Hide yourself and wait for the appearance of the foul-smelling green dragon close to the sign post. In which direction (from the raised hide) does it stop? Now go to the pond to the place at which the photo on top of the page was taken. There are two ponds but the right place is easy to find. Hint: A signpost will guide you down. You don't need to climb over fences or something else! Stay on your path and you will succeed! One of the animals contains a number in its name. Call this number C.
Enter now the leisure park "Böhmischer Prater". There are fun rides, restaurants and beer gardens. Walk along and relax. Search for a tram stop. 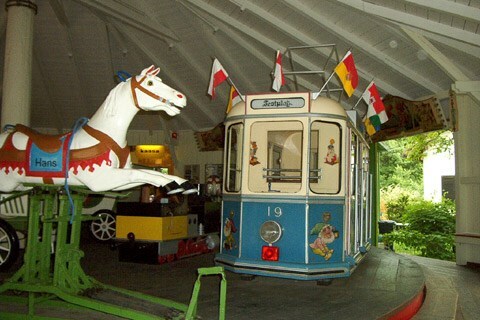 Call the black, round line number which operates the tram (visible on top of the roof, front side) as D.
Not far from the tram stop is an old merry-go-round. When was it built by Rudolf Rusniak? Subtract 1900 and call the result E.
Use the path as long as you can. Leave the trail only for the last meters. Good Luck! After you've found this cache please rate it at GCVote! [Cache:] Uvqqra haqre na haanghenyr cvyr bs oenapurf nxn "obne tevyy"